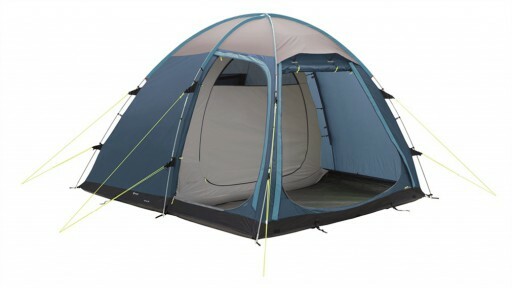 This is Kampa’s flag ship model, the Studland 8 Air Pro is everything you would need out of this large, family tent. This includes the carpet and footprint. 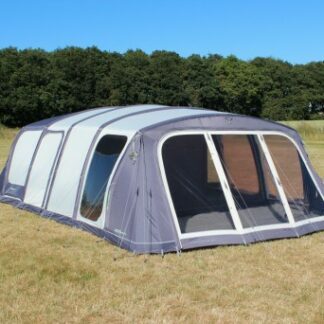 This is Kampa’s flag ship model, the Studland 8 Air Pro is everything you would need out of this large, family tent. 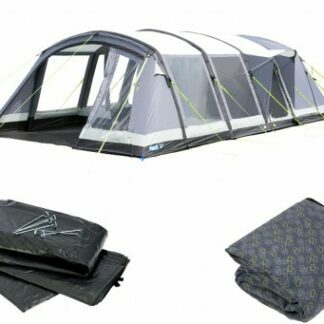 With one large six berth inner tent at the back of the tent, which is easily divided into three separate compartment if required. 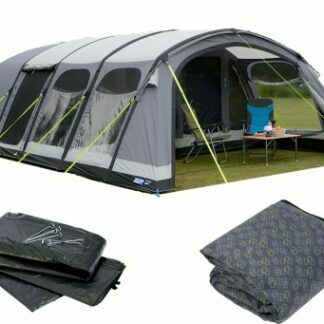 There is also a two berth inner which sits in the front of the tent, this can either be set up or taken down as required. 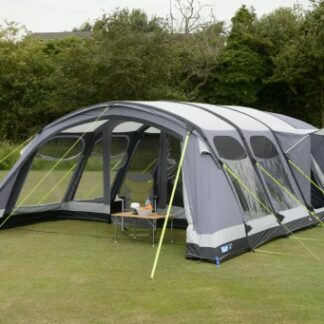 Despite its size the Studland is as easy to set up – peg the four corners, inflate the airframe, secure the Quick pitch straps – that’s it. 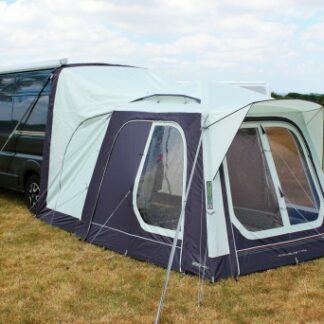 The large living room has plenty of headroom making it feel spacious and the fully sewn-in groundsheet will keep you protected. There’s two side doors into the main living room, both with mesh screen panels and one with a canopy to allow access during inclement weather. The front panel of the living room can be used as a door or completely rolled back to give unhindered access to the large enclosed front vestibule area. 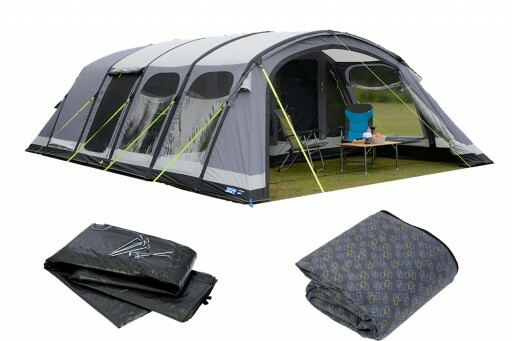 The vestibule area has a toggle-in tub groundsheet that can be used if required. All side windows feature airflow vents that can be opened in hot weather. This package includes the Studland 8 Carpet and Studland 8 Footprint Groundsheet, ensuring you have everything you need to setup your tent and make it ready for your holiday. Materials: Weathershield™ 150D – Offering a high quality 150D polyester flysheet with a massive 6000mm hydrostatic head, our Pro AIR range utilises some of the highest specification materials on the market. The material is specially treated to offer advanced protection against UV degradation and is fire retardant. 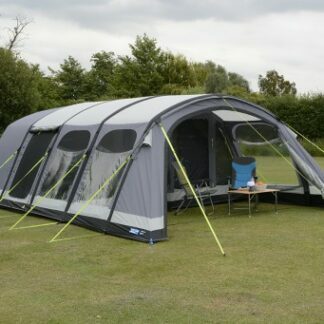 Updated for 2019, the Croyde 6 Air Pro has been made taller, providing increased headroom and a larger living space. Includes the Carpet and Footprint.